Following publication on Arutz Sheva, PM instructs IDF not to take part in conference of Association for Civil Rights in Israel. 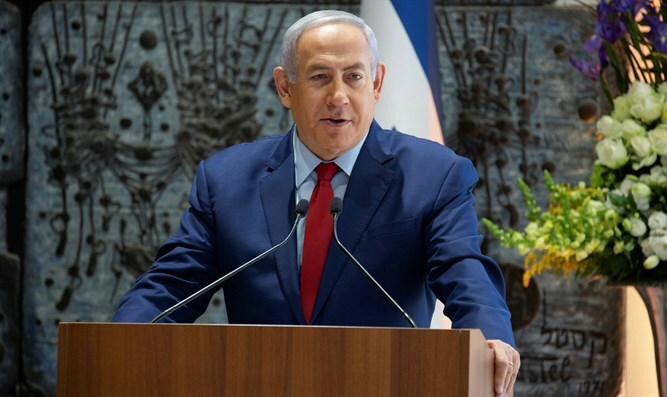 Prime Minister and Defense Minister Binyamin Netanyahu today instructed the IDF not to take part in a training program organized by the Association for Civil Rights in Israel on Sunday. "This is a body that long ago became a political organization in every way," Netanyahu said following publication on Arutz Sheva of the invitation of the head of the Legal Advising Department in Judea and Samaria to lecture to conference participants, which is affiliated with the extreme Left. The training will be held this coming Sunday in cooperation with the Red Cross, and will deal with international humanitarian law. Participants will hear, among other things, "issues of reality in Israel and the occupied territories." The participation of the senior officer in the meeting of the Association requires the approval of Defense and Prime Minister Netanyahu, who instructed the IDF not to send any officer or representative to lecture to the participants. Last year, the Legal Advisor for Judea and Samaria participated in similar training conducted by the Association for Civil Rights in Israel. Then Ddefense Minister Avigdor Liberman chose to ignore bereaved families who asked him to forbid participation of the senior officer. Shai Glick of the B'Tzalmo organization said, "I congratulate the Prime Minister on his determined position. The time has come for the State of Israel and the IDF to sever all ties with extreme left-wing organizations that specialize in defending the rights of terrorists and those who want to harm us. We hope this decision is an opening for severing any connection between government and the extreme left."